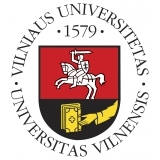 ITiCSE 2015, the 20th Annual Conference on Innovation and Technology in Computer Science Education, will take place in Vilnius, Lithuania, hosted by Vilnius University. 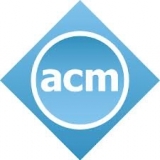 The ACM Special Interest Group on Computer Science Education (SIGCSE) is sponsoring the event. The conference will be held in the Seimas Palace, the site of the Lithuanian Parliament (see virtual tour). The conference will begin with the Working Groups, which start their sessions on Saturday morning 9.00, 4 July, 2015 and will continue working until Wednesday 8 July, 2015. Registration for Working Groups will be on Friday evening, 3 July, 2015. The main conference starts on Monday 6 July, 2015 and ends on Wednesday 8 July, 2015. The opening ceremony will be held in the old Vilnius University building on Sunday, 5 July, 2015. The conference dinner on July 8 is served in the reconstructed Palace of the Grand Dukes of Lithuania, one of the most famous in Europe in the 15–17th centuries. 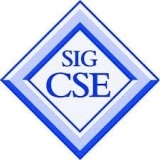 The best paper award was given to the paper Semi-Automatic Assessment of Unrestrained Java Code: A Library, a DSL, and a Workbench to Assess Exams and Exercises by David Insa and Josep Silva (Universitat Politecnica de Valencia, Spain). Download ITiCSE 2015 Poster (A3 format for print). Download ITiCSE 2015 handout and flyer.